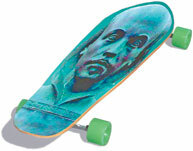 What do the Elizabethan fans of William Shakespeare have in common with today’s skateboarding fanatics? Plenty, according to McGill’s Renaissance man, Paul Yachnin, the Tomlinson Professor of Shakespeare Studies. Skateboarding, like pay-per-view entertainment, knitting clubs or chat rooms, have links to Renaissance Europe. The roots of these modern networks – built on common bonds of taste, interests, personalities and beliefs – lie in early modern European cities. But beginning about 500 years ago, people – often complete strangers – began to interact based on shared interests. Theatre lovers would save their pennies for a showing of Othello, and natural philosophers would pen descriptive letters of their observations to their peers. But the formation of these groups, or “publics,” a term that Yachnin coined to refer to the loose associations of individuals sharing common interests, is poorly understood. Yachnin has assembled a multinational, multidisciplinary team to study the publics who embraced and promoted the art, music, architecture and literature that emerged in the Renaissance. The inspiration for the project came from a provocative article Yachnin published in the early 1990s that challenged the popular view of early modern European society. Literary academics would read Othello as though the play were representative of the period’s entire socio-political situation. “Shakespeare was not early modern society; he was situated within early modern society. His plays were only a partial picture of that society,” he says. Soon, Yachnin had to come to terms with his statements. “People said, ‘If you are so smart, what is the socio-political dimension of the theatre? '” He didn’t know. And he realized he couldn’t answer the question alone. Over the next five years, Yachnin and several dozen other academics from Canada, the United States and Europe will study the development of publics during the European Renaissance. The $2.5 million project, “Making Publics: Media, Markets and Association in Early Modern Europe, 1500-1700,” is funded by the Social Sciences and Humanities Research Council of Canada. The team’s expertise runs the gamut from literary studies and music history to the history of art, religion and science. Forming a definition of these publics, and understanding how they arise and why individuals participate, will be the team’s initial focus. The project will help the team describe the emergence of a culture market in the public sphere. “Shakespeare was a new thing, formally and technically – people were doing all kinds of things that weren’t done before,” Yachnin says. Companies constructed dedicated theatres, charged admission fees and expected to make a profit, and theatregoers could influence the product by choosing the performances that resonated most with their political and social values.